Techniques by Trish: Valentine's day blog hop!!! You should have arrived from Saundra's blog at http://luvscrappingtogether.blogspot.com/. 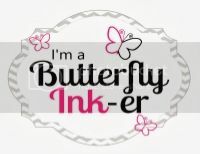 If not, you'll want to start at the Scrappy Mom's blog http://scrappymoms-stamps.blogspot.com/ to view the complete line up. For my card today I wanted to keep it super simple. I used a wood grain stamp, the owl punch from SU, and some ribbon. Hope you guys enjoy! Next on the hop is Nicole at http://canadiannickelscrapn.blogspot.com/. ADORABLE!!! Love that cute little owl!!! I LOVE owls....he is super cute! Your card is just adorable. The owl is perfect with the wood grain. simple yes...super cute completly. Love this. Ah so darn cute love the owl and the sentiment. This is so cute, I just love the owl and the sentiment! I love this!! so simple, yet so cute!! SO cute! I love how simple but ADORABLE this card is. It's one of my favs for sure! TFS! This is so cute and so elegant! Love this owl, WHooo could resist him! Super cute! Great wood grain stamp! so cute love it TFS!! Cute!! Love that little owl!! BEST INFORMATION ABOUT VALENTINE DAY. The wood grain stamp is great. Love the heart on the owl. Sooo sweet Trish.. Just love the wood background. I love owls this is so cute! Brilliant, what a blog about valentine gifts, also add valentine gift purses ideas in your blogs. 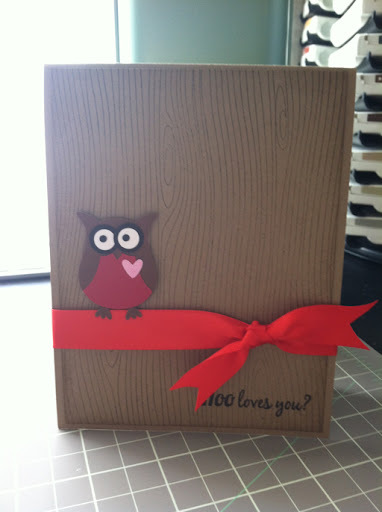 Cute owl - love the wood grain background.